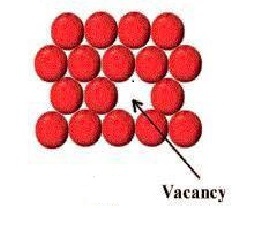 A vacancy is the simplest point defect and involves one or more atoms are missing from a normally occupying position as shown in the Fig. The defect caused is known as vacancy. Such defects can be a result of imperfect packing during formation of crystals or from thermal vibration of the atoms at high temperature. 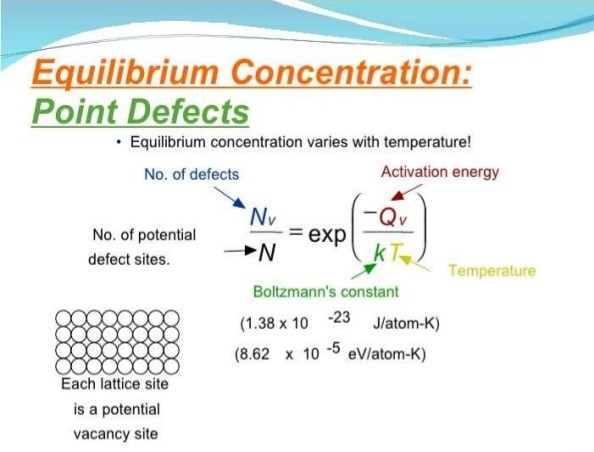 In the latter case, when the thermal energy due to vibration is increased, there is always an increased probability that individual atoms will jump out of their positions of lowest energy.